It was an exciting night at Manual Arts High School in Los Angeles, CA. 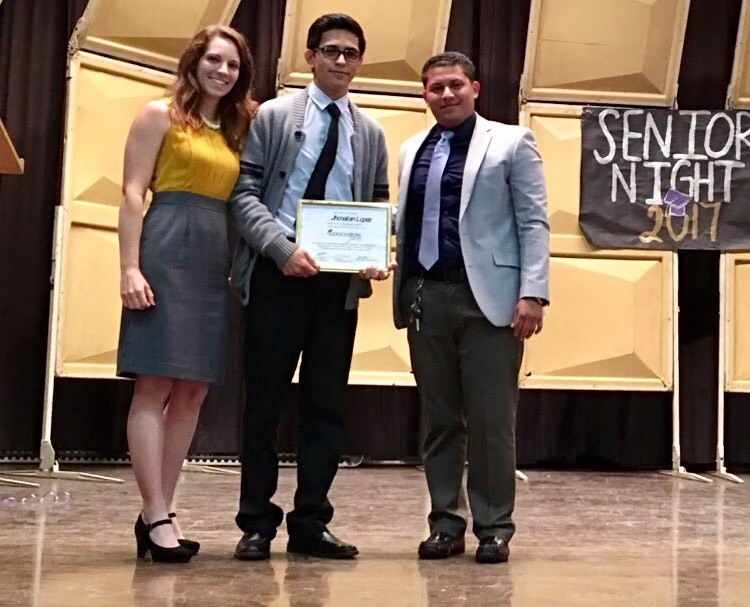 Jairo Guerrido, a 2010 Education First scholarship recipient and now an active volunteer, presented Jhonatan Lopez with $2000 to put towards his his tuition and books at Cal State Northridge. Jairo recalled how his parents insisted that he not go to college and get a job to help with family expenses. However, he was determined and became the first in his family to earn a degree. He shared how he graduated with a BS in Electrical Engineering at Cal State LA and got a well paying job at Los Angeles Water and Power. For Jhonatan, he lived in a country where gang wars kept him from attending school. He sought for a better life for he and his family and immigrated to the US when he was 16. He had to complete many requirements in 2.5 years and was successful at managing his time. Today, we look forward to supporting Jhonatan on his path to a better life by helping him secure a college degree at Cal State Northridge. Windermere Does it Again in Seattle!